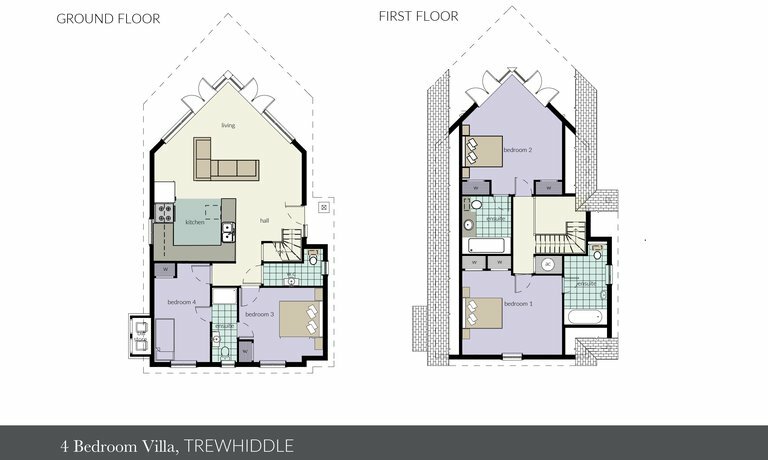 This breath-taking holiday villa is one of thirty-four, timber clad 'New England' style residences at Natural Retreats Trewhiddle, offering four spacious bedrooms, which have been built to exceptionally high standards of design and quality. 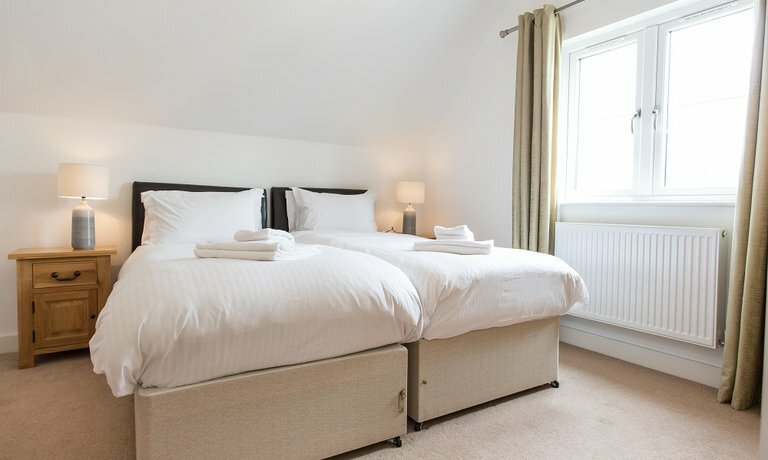 The four bedrooms can comfortably accommodate a large family, or groups of friends, with whisper soft beds and sumptuous textiles. 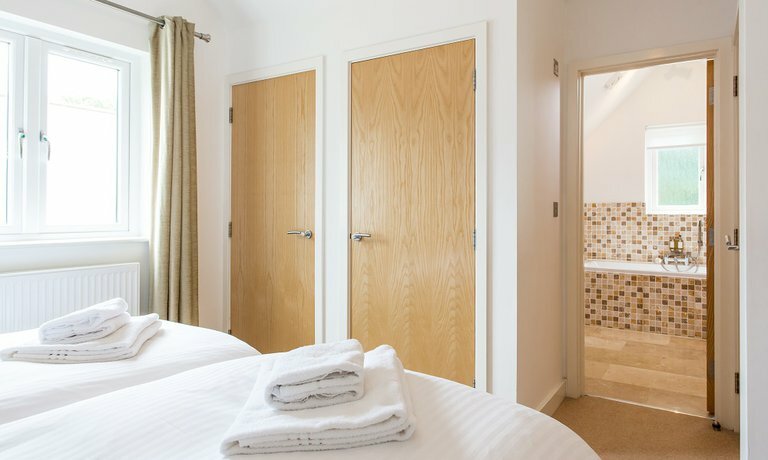 Two of the bedrooms upstairs have king-size beds with en-suite bathrooms, the third bedroom is a double and the fourth has either a ¾ bed or a bunk room, so is suitable for one adult or two children only. 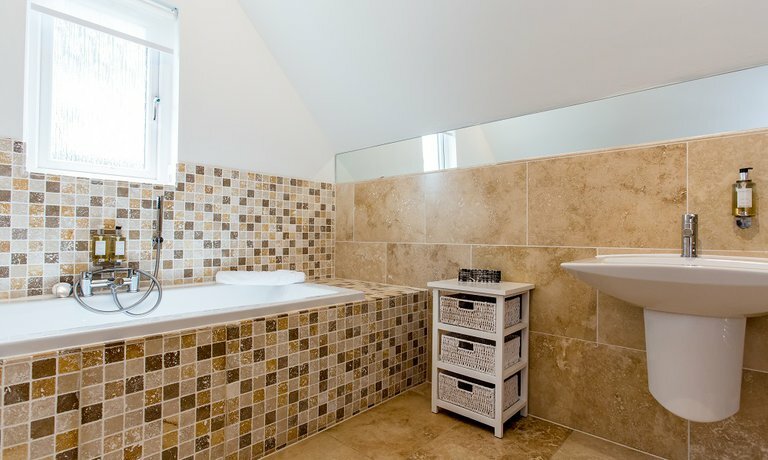 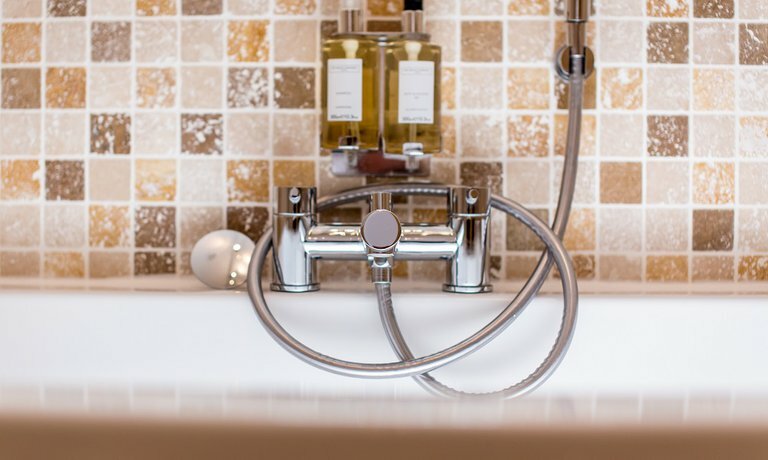 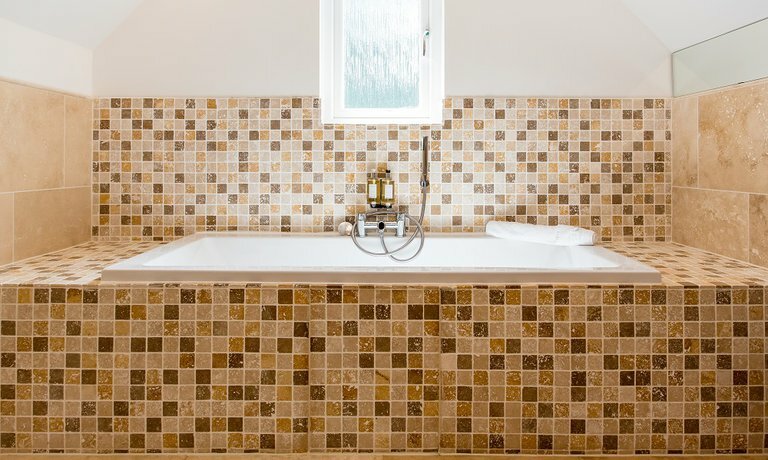 For indulgent moments, treat yourself to a deep bubble bath in one of the en-suite bathrooms, or enjoy our rainfall showers for switching off after long days spent exploring the local beaches. 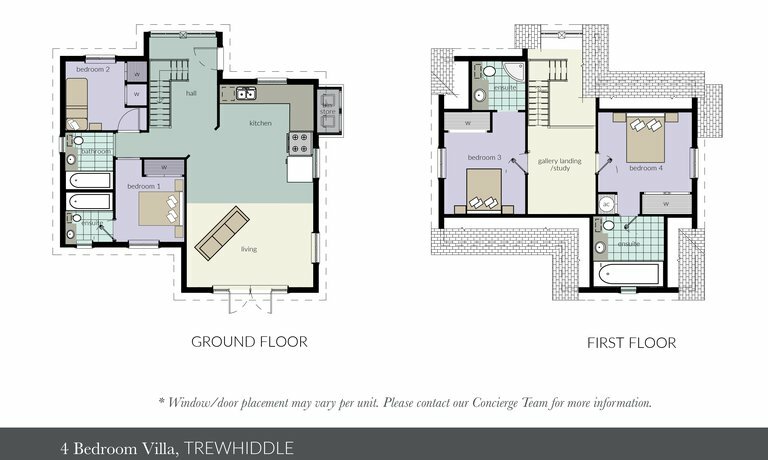 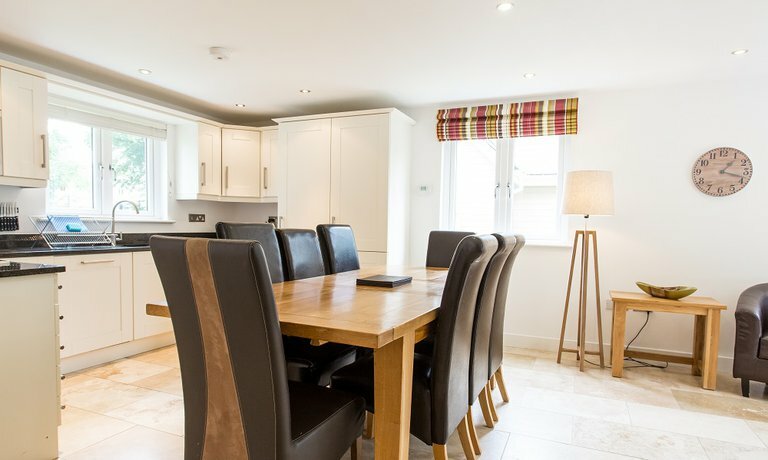 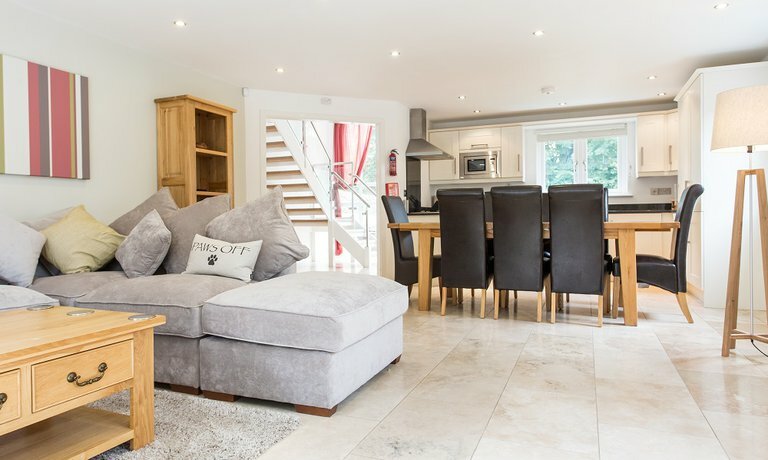 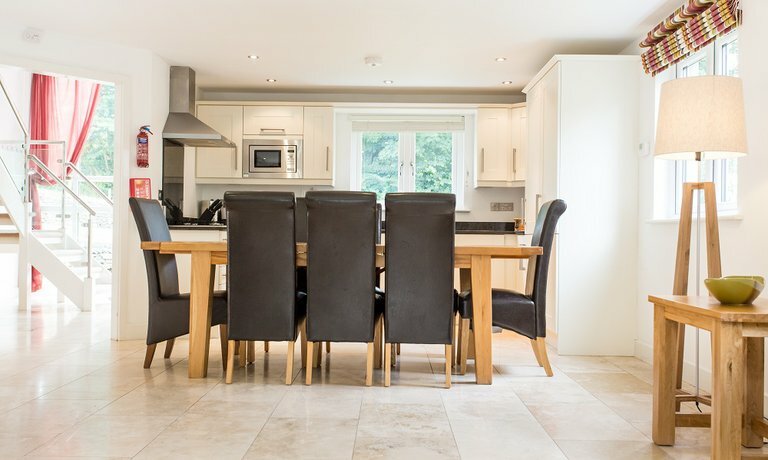 The villas also feature a spacious open plan living area and a contemporary and stylish kitchen, which includes fully integrated appliances for serving up delicious feasts of locally caught seafood and other Cornish delicacies. 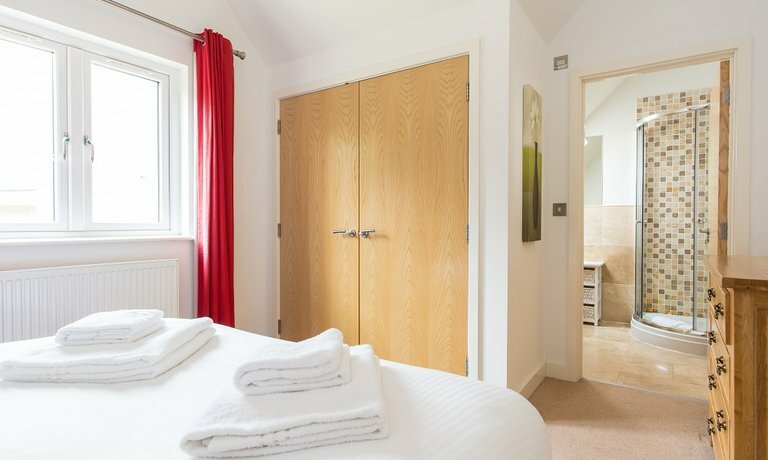 Facilities in the kitchens include gas hob & electric oven, microwave, dishwasher & washer/dryer. 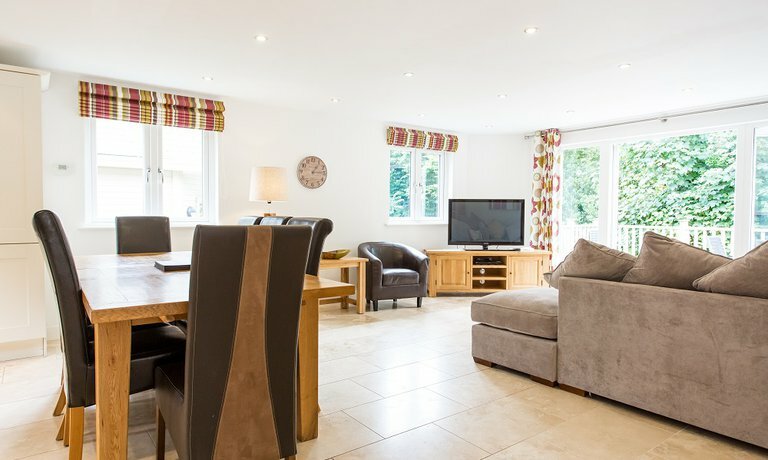 Guests can enjoy all the modern amenities expected with a luxury stay including flat screen television with DVD player, CD player and complimentary Wi-Fi, iron, ironing board and hairdryers too. 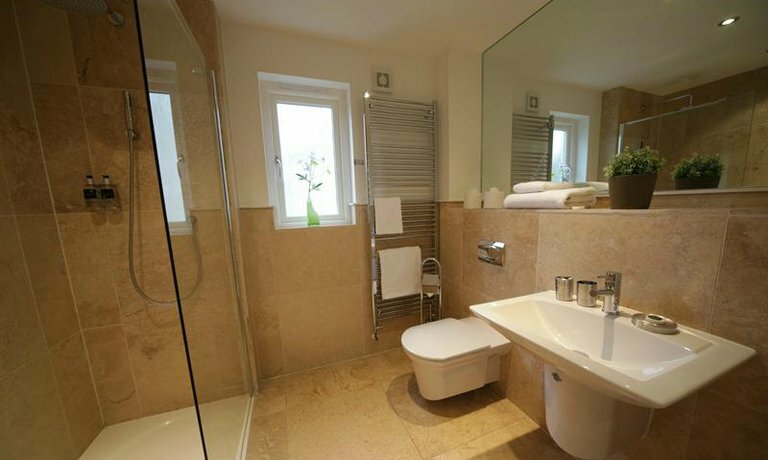 Cot, highchair & sterilisers are available on request for little ones. 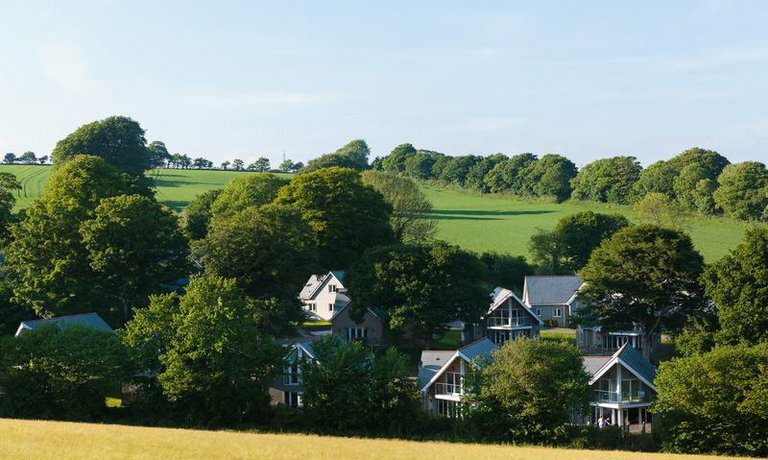 The villas themselves include access to over 120 acres of beautiful woodland valley, children's communal playground and gorgeous meadows, which you are welcome to explore at your leisure during your stay. 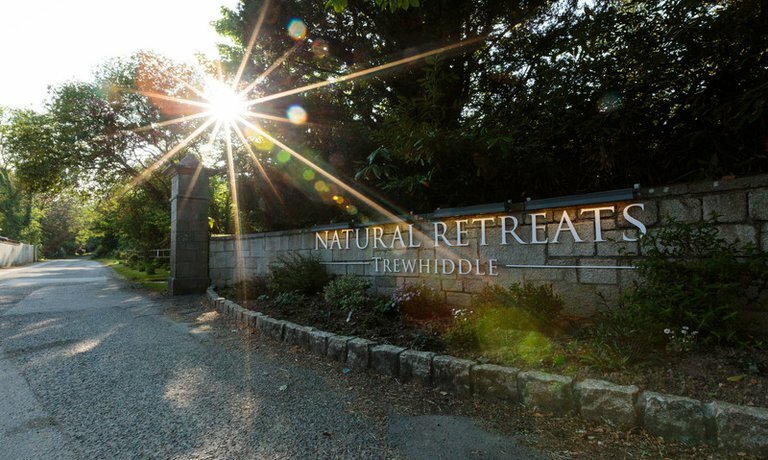 In terms of location, Trewhiddle proves the perfect blend of peaceful countryside living and incredible coastal adventures. 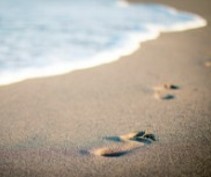 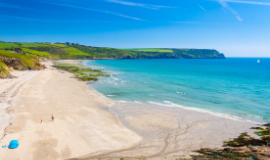 With the breath-taking beaches of Porthpean and Pentewan less than 5 minutes’ drive away, guests here can find themselves sea-side in no time, paddling in the famously gentle waters of South Cornwall, tucking into an indulgently creamy Cornish ice-cream and generally taking in the warming rays of sunshine. 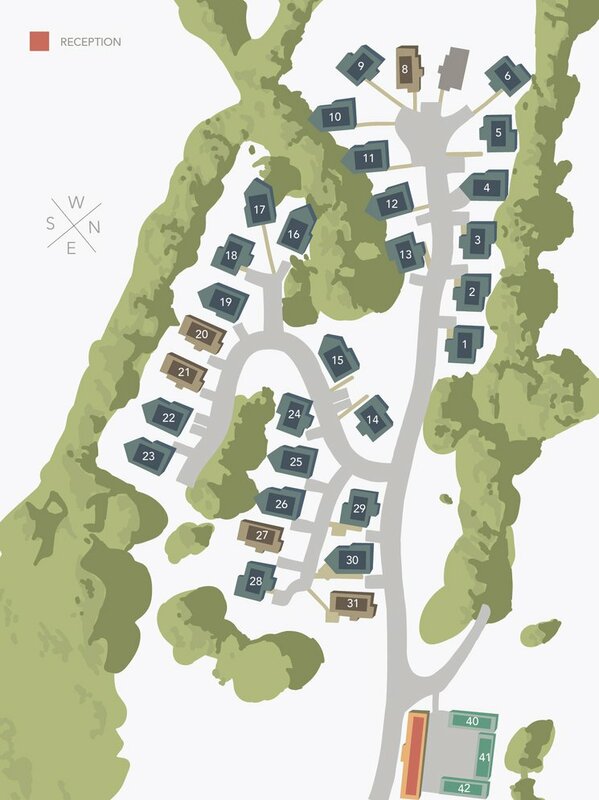 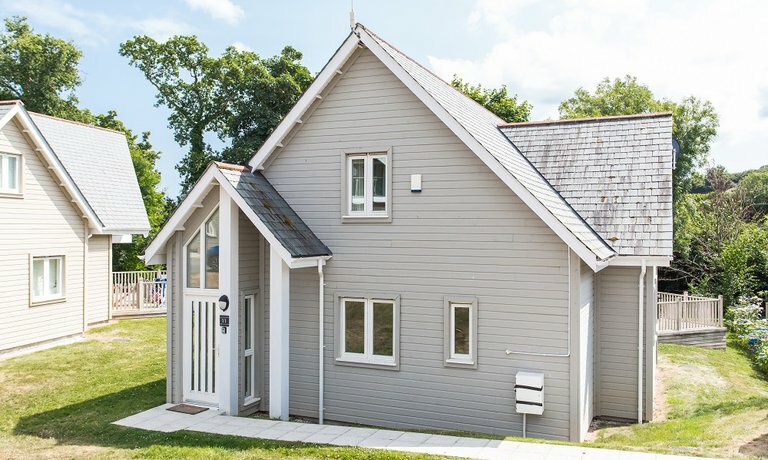 Pentewan in particular is easily accessible from our spacious villas, with a bike/walking trail leading directly to the beach through beautiful woodland, 2 minutes from our entrance. 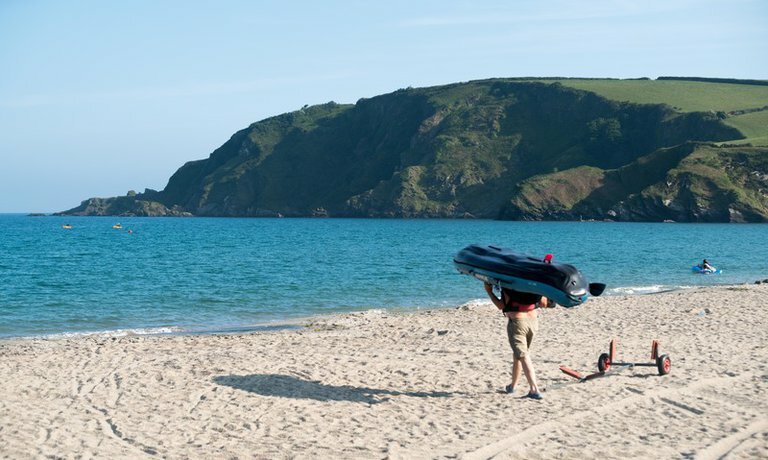 For young explorers (or those young at heart!) 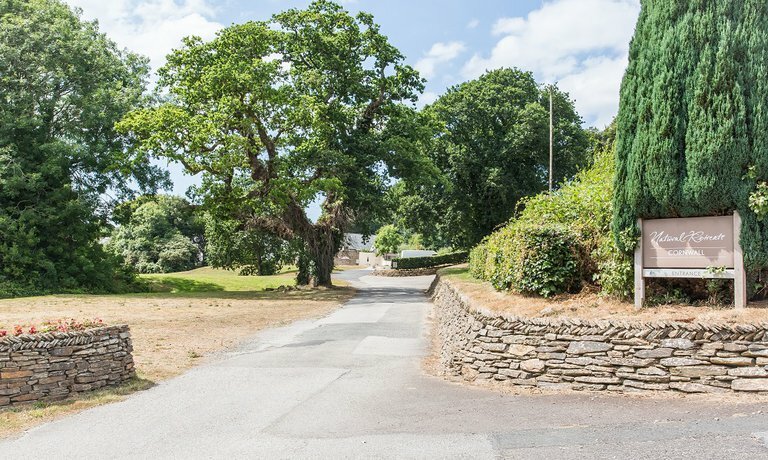 the iconic tourist attractions of the Eden Project and Lost Gardens of Heligan are both less than 15 minutes’ drive from the stunning wooded valley of Trewhiddle. 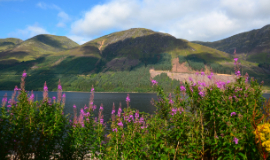 Here you can find world-famous botanical wonders, with an incredible calendar of events to occupy even the most un-outdoorsy family members! 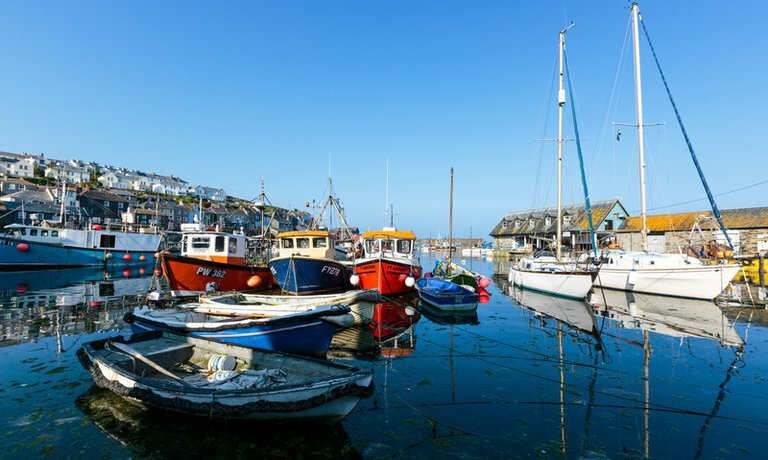 Providing the perfect base camp to explore South Cornwall, Trewhiddle is just a few miles from the quaint fishing villages of Mevagissey, Charlestown and Fowey where you can stock up on mouth-watering self-catering treats, tuck into freshly-caught fish and chips and browse the quaint boutiques that line the cobbled streets.